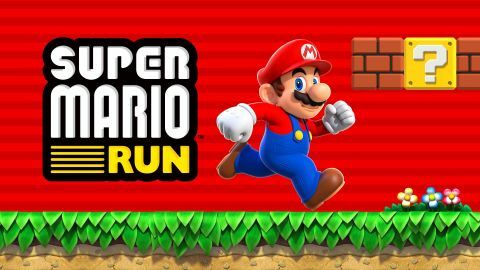 Super Mario Run review: "Exactly what you might expect from a mobile Mario"
Super Mario Run is an excellent and smart step into mobile gaming for Nintendo, but difficulty spikes might frustrate casual players. Super Mario Run is exactly what you might expect from a mobile Mario: a distillation of the classic Super Mario World platforming, glossed up with the newer generation graphics, and miniaturised for handheld devices. By sidestepping into the mobile gaming genre, though, Nintendo has also picked up on a few of its flaws and setbacks. The question you might be asking is: is Super Mario Run worth $9.99/£7.99? Well, do you want a game that replicates old-school platforming, like Sonic used to, with multiple branching paths and secrets that require repeated plays of the same level? Super Mario Run can give you that. If you want something you can play on public transport, something that won’t test you too much when your brain is only half-awake, or something easy to pick up, this might not lazily scratch the itch you’ve got. Super Mario Run is an auto-running platformer, which means that Mario will jog along and vault over small obstacles like blocks and Goombas without any input from you. You will have to get involved, eventually, as there are things that need jumping over. The clever part is that Nintendo has designed an intricate series of acrobatic moves that you can access by tapping the screen at different times. Tap while leap-frogging a Goomba to do a spin-kick; tap while in mid-air to do a double jump; hold down to do a high jump. Combining these moves well is the crux of the game. Sure, you could just get to the end of one of the game’s 24 World Tour levels without having pulled off any fancy moves, but in that case, why did you buy it? Plus, you’ll miss out on most of what the game has to offer. There are collectible coins in each level to test your acrobatic abilities, starting with five pink, going up to purple and then black, with each colour being much, much harder to get than the last - especially when you can’t really go backwards if you missed one. There’s also the Toad Rally portion of the game, which requires Toad Rally Tickets to play (these are won through bonus games and boss levels). Toad Rally is a mode that pits you against friends and strangers on the internet to prove who is better at the fancy moves. You’re given a timer and a level to run through, and whoever collects to most coins and does the most impressive jumps wins. To sum it all up: if you don’t put any effort into learning the moves, this game will be useless to you. Super Mario Run is hard, and it’s not really one of those games that you can play on easy mode if you don’t care too much about the collectibles, because once you’ve paid ten bucks or eight quid for it (depending on your local colloquialism), you really should be getting everything out of the game that you can. Super Mario Run challenges you to keep playing, training, trying harder on the same levels, which means you’ll end up playing each one at least ten times, memorising the layout and the precise timing of jumps. Everything in Super Mario Run feeds back into itself - the Toad Rally teaches you moves to use in World Tour, World Tour earns you coins to spend in the World Building mode, where you can rebuild the Mushroom Kingdom (don’t get too excited, it’s really quite boring), and replaying the levels over and over again helps you learn the layouts and the timings. It’s a feedback loop, but is it a satisfying one? It can be, if you’re the kind of player who’s driven by scores and collecting everything. Repeating levels isn’t tedious if you’re chasing perfection and satisfaction, and sometimes being able to complete a level with your eyes closed can feel good. Plus, each level has a different gimmick to keep you on your toes, like Ghost Door Deception, which is a one-screen loop where you have to guess which door is the correct one. However, for a more casual player, Super Mario Run has the potential to be incredibly frustrating. Replaying levels over and over again, especially when each one is demanding to begin with and only increases in difficulty from there, is not the kind of relaxing commute-worthy process you might be looking for in a game. Super Mario Run is what you might expect from a game made by Nintendo. It’s well-made, it’s detailed, it’s polished - but that still doesn’t stop it from being not everyone’s cup of tea. Want to keep up-to-date with the best mobile phone games? GamesRadar+ is launching a free newsletter that picks out the mobile games worth your time on iOS and Android and you can sign up to our mobile newsletter right here.